President Donald Trump’s Treasury Department is increasingly short-handed these days. The massive agency, which oversees everything from the nation’s debt to international sanctions, is supposed to have 16 top officials in the core of the department who have been vetted by the Senate. It could soon have as few as six. The international affairs division — which conducts negotiations with other countries, polices foreign investment for potential national security risks and represents the U.S. on the world stage — soon might not have a single Senate-confirmed official. David Malpass, who heads that division as undersecretary of international affairs, was tapped last week by Trump to be the next president of the World Bank. Heath Tarbert, assistant secretary for international markets, has been nominated to be the next chairman of the Commodity Futures Trading Commission. Other units in the main part of Treasury — which doesn’t include bureaus such as the Internal Revenue Service or the U.S. Mint — are suffering from a similar exodus. Marshall Billingslea, an assistant secretary for terrorist financing, has been nominated for a position in the State Department. Behind the move toward the exits: burnout, a lack of nominees from the White House, an increasingly lengthy and arduous Senate confirmation process and a Treasury chief, Steven Mnuchin, who prefers having a lean staff. People familiar with the work environment at Treasury say the department can be an especially stressful place to work, given its key role in advancing much of the administration’s agenda on issues such as sanctions and financial deregulation. But in an administration that has made it a priority to reduce the footprint of the federal government, that agenda is also more limited. “Treasury is a shell of its former self in the policy arena,” a former department official said. That’s among the factors leading career staffers to leave; there has been an 8.3 percent decrease in overall staffing at the department since fiscal year 2016. Sarah Bloom-Raskin, who served as deputy Treasury secretary under President Barack Obama, said the departure of political appointees and career staff means there are fewer perspectives and less expertise involved in policy making. Treasury itself says it’s not concerned, though it cited the slow confirmation process as a problem. “We are largely satisfied with the current staffing levels, however like other agencies we have several names stuck in the confirmation process,” a department spokesperson said in an emailed statement. “We were pleased to have the Senate confirm our deputy secretary in December after eight months of waiting,” referring to Justin Muzinich. The dwindling number of Senate-confirmed officials has prompted worries from lawmakers on both sides of the aisle. Sen. Rob Portman (R-Ohio) also said the confirmation process takes excessively long for departments like Treasury. “These aren’t politically charged issues you’re dealing with,” he said. Sen. Ben Cardin (D-Md.) said “the slowness of this administration filling critical positions” has been “a problem from the beginning.” And Sen. Bob Menendez (D-N.J.) said there has been “a series of issues” with nominees. “They could do a lot better vetting,” he said in an interview. There are three nominations pending for positions in main Treasury: Michael Faulkender as assistant secretary for economic policy, Bimal Patel as assistant secretary for financial institutions and Geoffrey Okamoto as assistant secretary for international finance. Okamoto, who is already acting in that role, would be the only Senate-confirmed official in international affairs and run the division in that capacity if Malpass and Tarbert leave. The previous nominee for that role, Adam Lerrick, withdrew after languishing for more than a year because of concern over his finances. Lerrick works as an adviser at Treasury. Two more nominees are pending for positions in Treasury-housed agencies: Michael Desmond as IRS chief counsel and Dino Falaschetti as director of the Office of Financial Research. Michael Zona, a Grassley spokesman, said the Finance Committee had just sent Faulkender and Desmond to the full Senate last Tuesday. Patel will have his nomination hearing before the Senate Banking Committee on Thursday, but his confirmation wouldn’t add more bodies to the department. 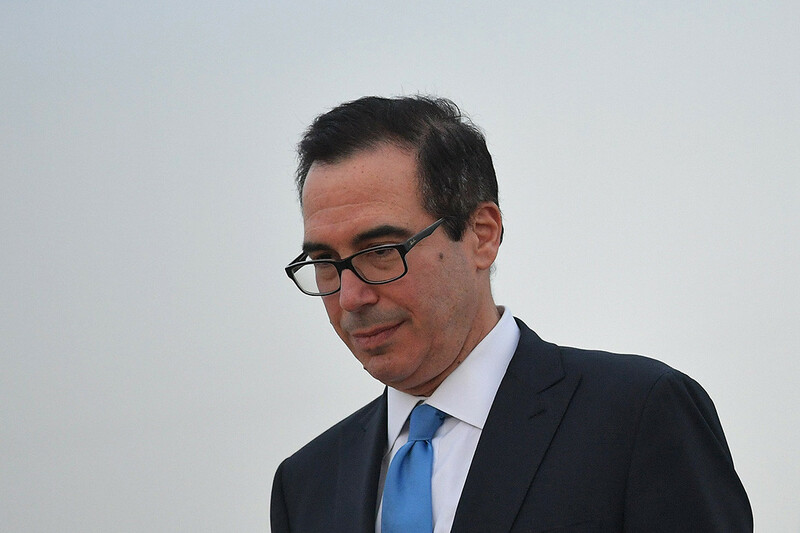 He is already running the staff for the Financial Stability Oversight Council — a panel of financial regulators — as deputy assistant Treasury secretary for financial stability. He will likely continue to do that in his new job. While Treasury has long had such advisers, the conception of the title changed slightly when Obama appointed Antonio Weiss as counselor for domestic finance in 2014. Weiss had been nominated for the official “undersecretary for domestic finance” job but withdrew, facing opposition from Sen. Elizabeth Warren (D-Mass.) and a Republican-controlled Senate. He was installed without confirmation. The Trump administration has chosen to build upon that, despite having a Senate run by their own party. The division of domestic finance is run by Craig Phillips, who has the title of counselor and was never vetted by the Senate. The administration had a Senate-confirmed assistant secretary for legislative affairs, Andrew Maloney, who left last year. Now, Brian McGuire, a former chief of staff to Senate Majority Leader Mitch McConnell, is serving as counselor for legislative affairs. Congress has not raised particular concerns about this trend, but others have. Fratto warns that the personnel situation could get even more dire at Treasury. Previous Post:Critical Thinking: Why Are So Many People Obsessed With Celebrities?